Torsional vibrations are important whenever power needs to be transmitted using a rotating shaft or couplings, such as in the case of automotive or power-generation turbines. 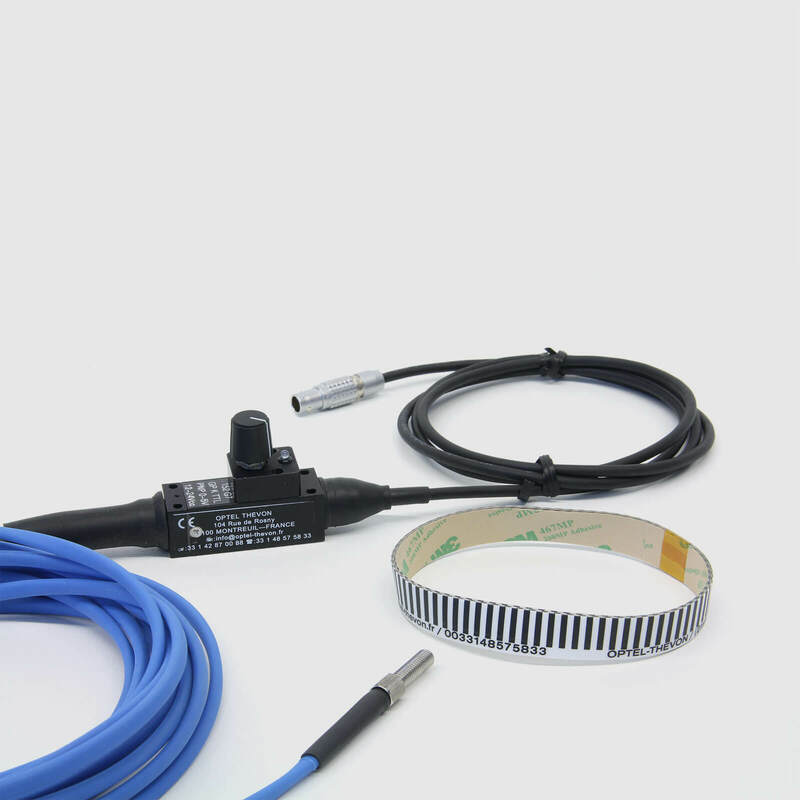 EASY SENSOR SETUP: math module supports any type of sensors. Sensors type can be totally different for both ends of the rotor. SuperCounter technology provides 10 nsec resolution of determining rotational angle and speed. Torsional vibrations are angular vibrations of an object, typically a shaft along its axis of rotation. Torsional vibrations are evaluated as the variation of rotational speed within a rotation cycle. RPM variations are typically induced by a rough driving torque or a varying load. The level of torsional vibration is influenced by a number of parameters, such as material properties, operating conditions (such as temperature, load, RPM, etc.). Torsional and rotational vibration can be measured with either an encoder (up to 3600 pulses per revolution) or a special sensor (CA-RIE-360/720) that has a lower resolution (up to 720 pulses per revolution) but is much less sensitive to vibrations that could damage standard encoders. Some very typical sensors are predefined. However, if your type is not listed, you can define your own sensor in the Counter sensor editor. Note, that for torsional vibration module the sensor has to be either an Encoder or a CDM type. 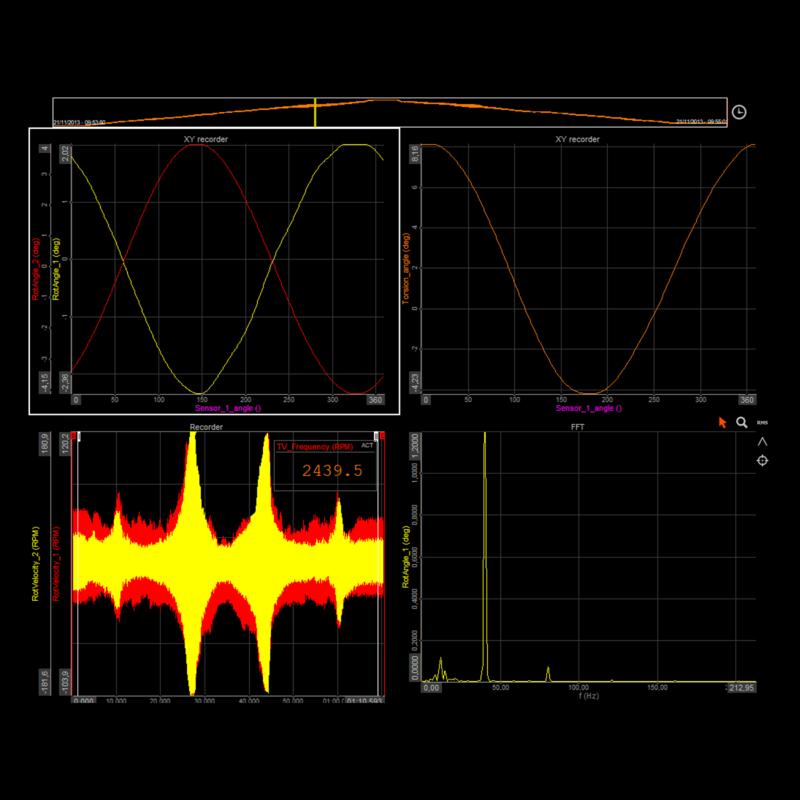 The input filter is needed to prevent glitches and spikes in digital encoder pulse signal. It can be set from 100ns to 5us, the optimal setting is calculated. 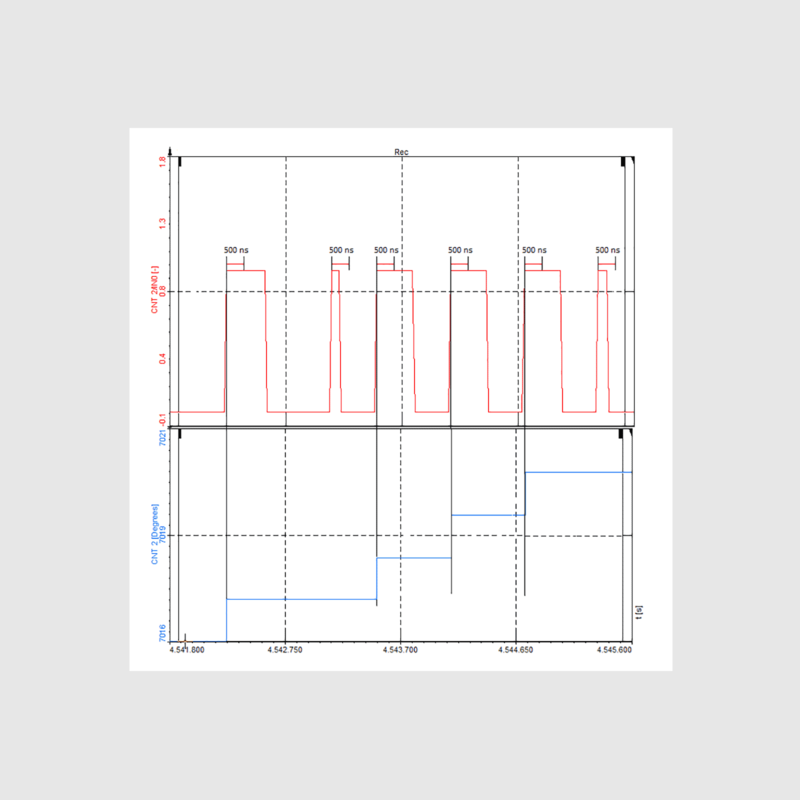 The rotational DC filter needs to be set to cut the DC component of the RPMs. We need to set the filter to include all wanted frequencies, but not too low, or else we will have static DC deviations on the output signal. It can be set from 0.1 to 10 Hz. You have to ensure that your lowest RPM is not filtered out! Rotational angle: Filtered angle value of vibration. Rotational velocity: Filtered velocity vibration value. 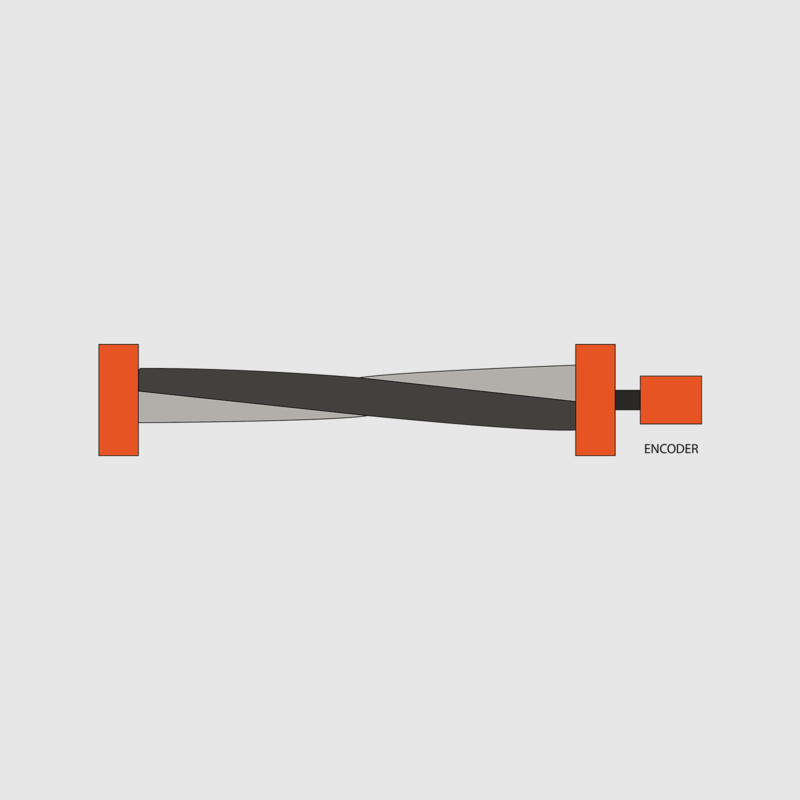 Torsional angle: the Dynamic torsional angle that is the angle difference from sensor 1 to sensor 2. Torsional velocity: Difference in angular velocity from sensor 1 to sensor 2. 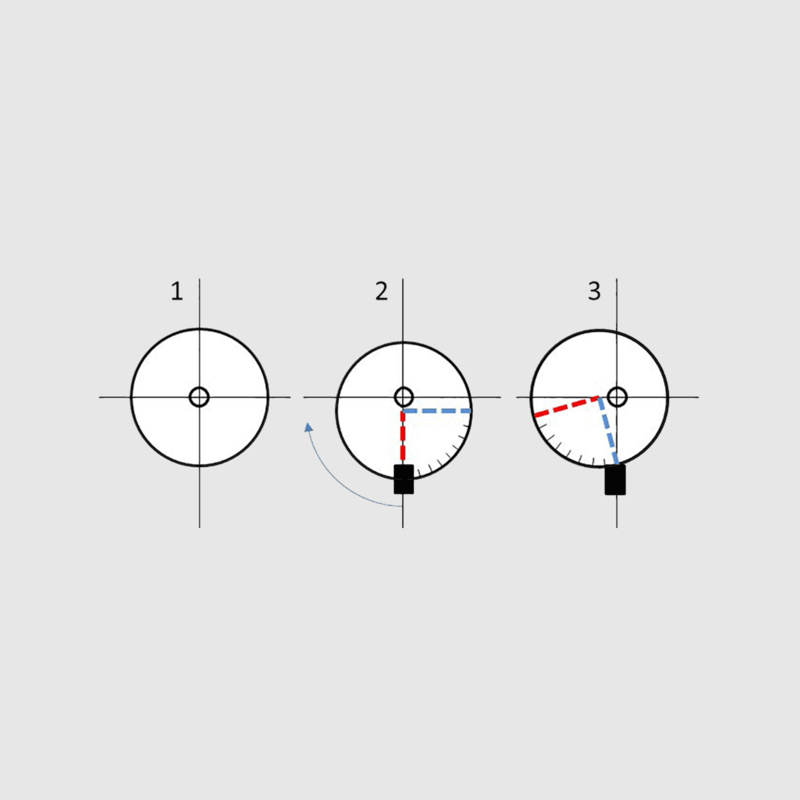 X-axis reference angle: The reference angle, which is always from 0 to 360 and can be used as a reference in angle based XY diagrams. Centered mounting is very important. 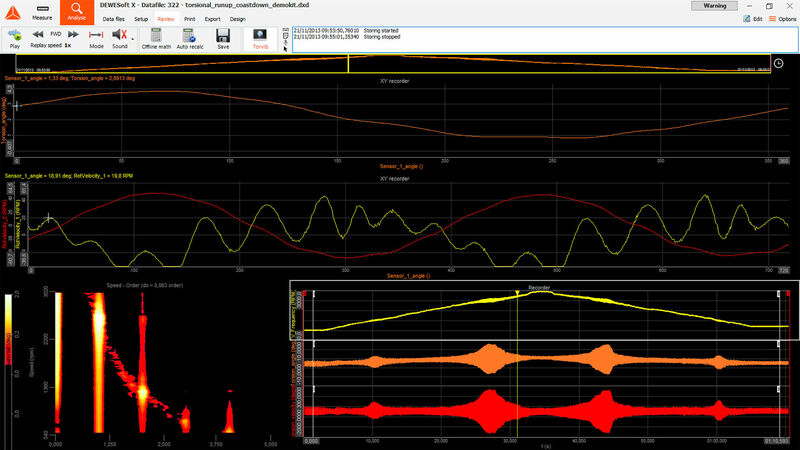 Off-center mounting and unsteady pulses from the encoder can be compensated in Dewesoft X using the reference curve. However, it is required that the load must be removed from the engine - it must be free-running. Otherwise, you would also cancel out vibrations you want to analyze. When the machine is running at idle speed with no real torsional vibration, press the “Set” button. 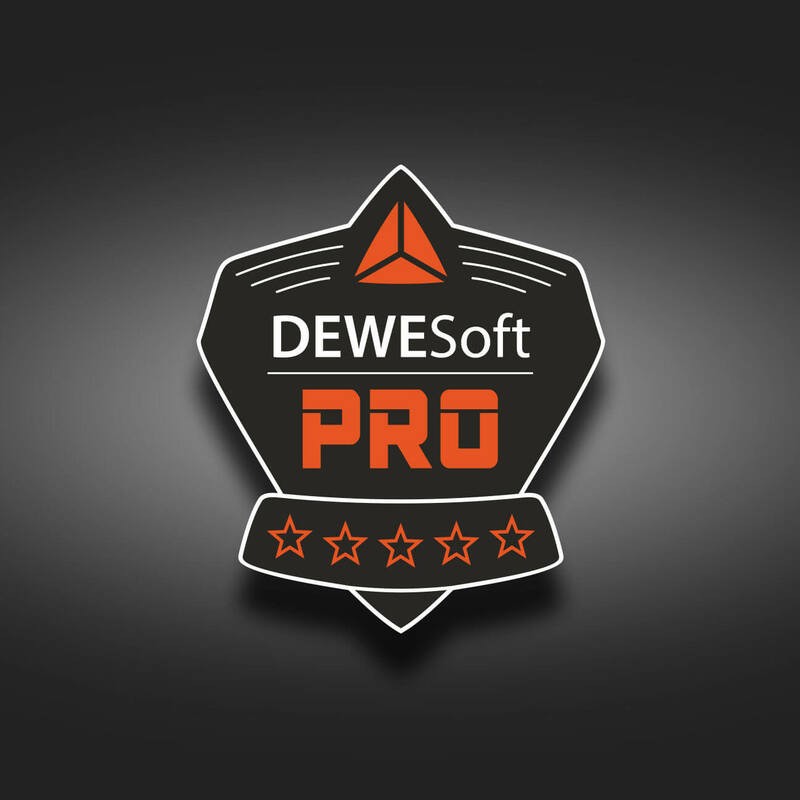 You can learn more about FFT analysis at Dewesoft PRO online training by navigating to the Rotational and Torsional Vibration PRO training course.